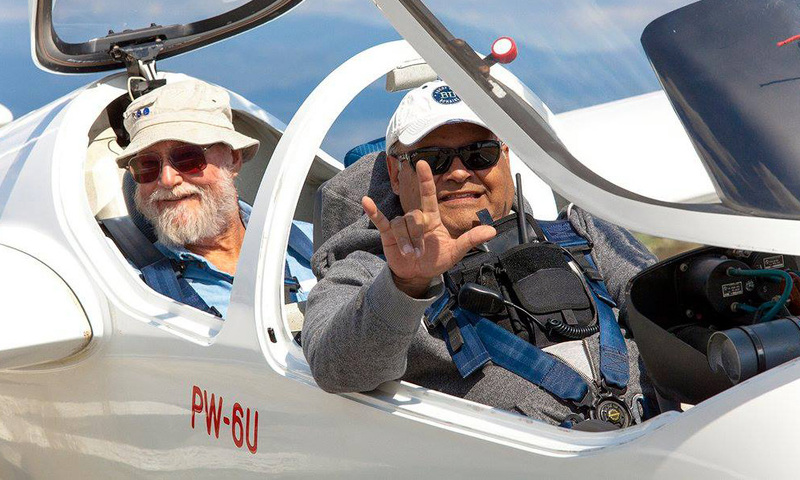 Cypress Soaring Glider Club, located in Southern California, can help you realize your dream of flying a sailplane. The club was established in 1969 at Cypress College, in Cypress, California. It was incorporated as a non-profit corporation dedicated to teaching and promoting soaring. We are based at Hemet-Ryan Airport, in Hemet, California. We also fly at Skylark Field, Lake Elsinore, California. We are convenient to most locations in Los Angeles, Orange, Riverside and San Diego counties.